Dowel bar retrofit is a concrete pavement rehabilitation tool that restores load transfer across joints and cracks by installing dowel bars linking the adjoining slabs. By linking slabs, the traffic load is shared, preventing differential vertical movement of the slabs at the joints and cracks, thereby eliminating the formation of faults or step-offs. 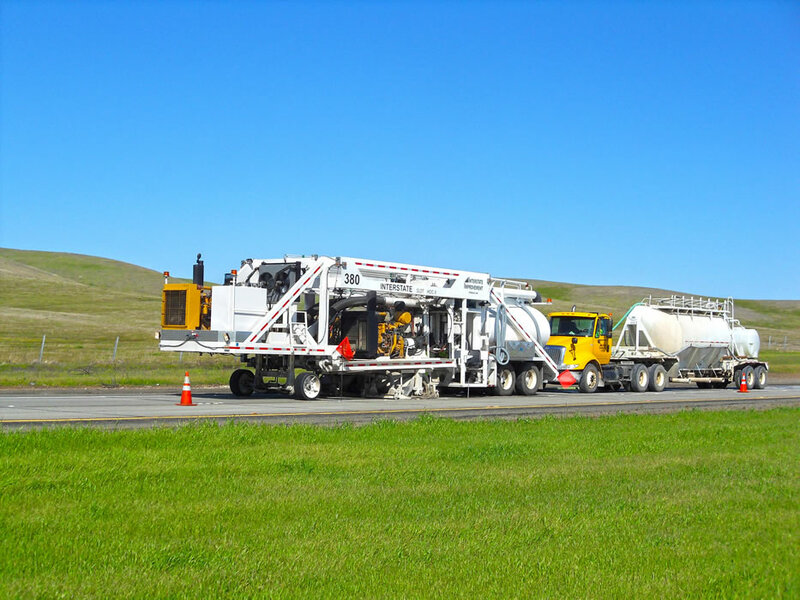 It is these faults that cause the rough ride and wheel slap that is sensed when traveling on a concrete roadway that has lost its ability to transfer load from one panel to the next. 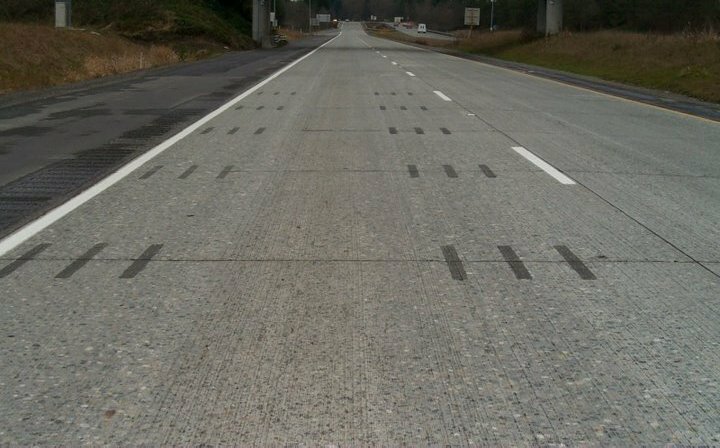 Dowel bar retrofit, used in conjunction with other concrete pavement rehabilitation practices such as diamond grinding, can return a concrete roadway to a structurally sound, smooth condition that can exceed the smoothness and noise values attained at the time of construction. Source: International Grooving & Grinding Association. 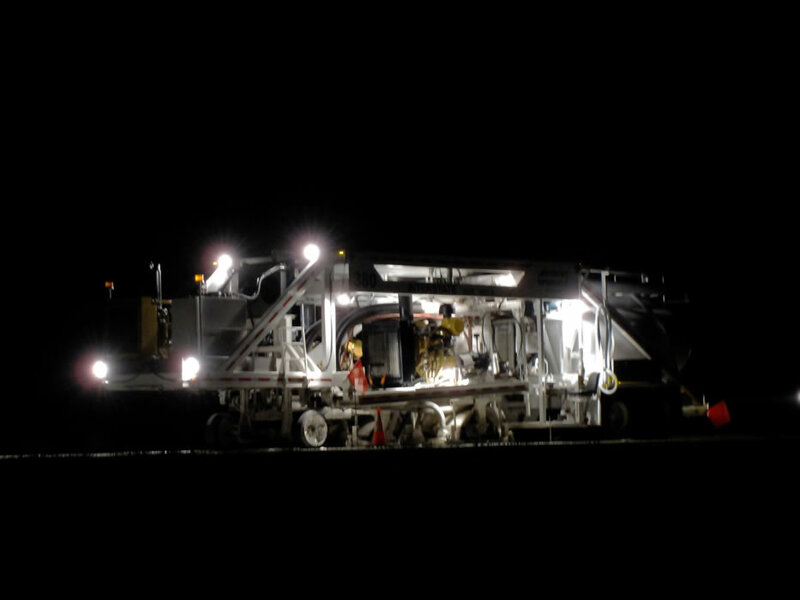 Interstate Improvement, Inc. employs a quality, highly motivated workforce. Our field employees travel nationwide from project to project. Prevailing Wage and Union Fringe Benefits apply on a project basis. 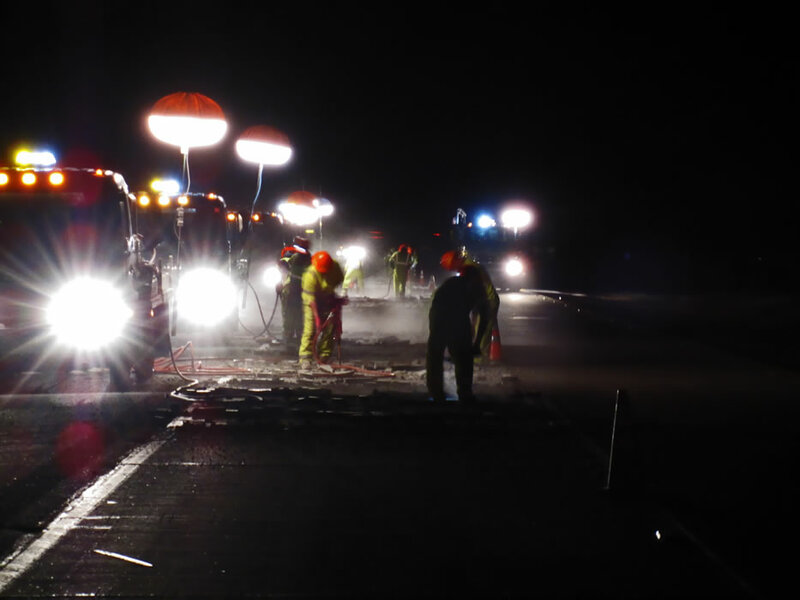 Interstate Improvement, Inc. is a General Highway Contractor with a reputation for integrity, quality craftsmanship and excellence in management. We are proud of our tradition of innovative and superior work. View our expertise at work in this gallery of images. It is the policy of Interstate Improvement, Inc. to provide safe, healthy working conditions and operating practices on all job sites. Accident prevention is the responsibility of each and every person employed by our company. © 2015 INTERSTATE IMPROVEMENT, INC.